Adam Hall has made the MLBPipeline.com's Prospect Team of the Week, which honors the best performances in the Minors from the previous week. Hall was named the Short Stop of the Week as he represented the Aberdeen IronBirds. Hall is an Baltimore Orioles' No. 27 prospect, he played in 4 Games, scoring 5 Runs, 1 Triple Base, 1 Home Run, with 6 RBI’s, 3 Walks, 4 Strike Outs and 5 Stolen Bases. After going 0-for-4 back on August 2nd, Hall has hit in every game since, giving him an active 10-game hitting streak. That includes three two-hit games this week on Thursday, Friday and Sunday, and he hit his first home run of the year on Wednesday. 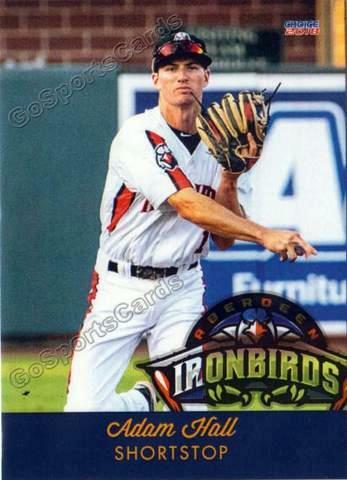 After starting the New York-Penn League season slowly, the Canadian product has hit .421/.488/.605 in August.